Companies in the US currently use social network behaviour to determine credit risk for thousands of consumers, but the data doesn't directly rely on smartphone habits — yet. All that may soon change, if Silicon Valley's Branch has its way. The company provides a smartphone app that collects device behaviour and Facebook account information, and the data can be used to apply for a loan directly via the app. The service is currently being used in Kenya, where credit reporting is less established, but the goal is to spread the business to developed markets as well. 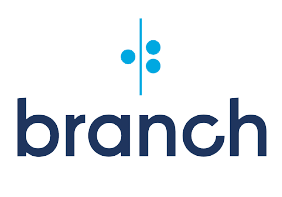 Branch states on the app's page that it collects "information about your device, SMS logs, call logs and contact lists to assess your creditworthiness and provide a seamless experience when applying for a loan." Apps that track and report details about device usage for the purpose of determining credit worthiness could turn out to be one of the more controversial third-party services to come along. Certain variables, it's suggested, can help to ascertain the financial responsibility of the user. One example provided is the frequency of phone charging. The more often a user charges a device may indicate the handset's age, which could suggest the owner's financial status — there might be evidence of financial problems if it can be determined that a subscriber is holding onto a device despite the need for a hardware upgrade. It's a theory, at least. Use of the app is an opt-in process, but the tracking of mobile usage for credit risk analytics in the West is bound to be controversial owing to privacy concerns. Downloading means that users are consenting to their device behaviours being monitored, but it's debatable if operators or smartphone makers will back such a service. The ethics of this credit worthiness test are, at a minimum, debatable. Beyond questions of accuracy, such services are reminiscent of pay day loans — the practice of lending a small amount of money at a high rate to individuals in need. The intrusiveness of services like Branch reminds of the privacy problems that can develop with software — more specifically, apps — on smartphones.